A reformist analyst has urged Iranian reformists to refrain from adopting aggressive approaches towards the Establishment, by redefining their relationship as well as their role and position with and within it, respectively. 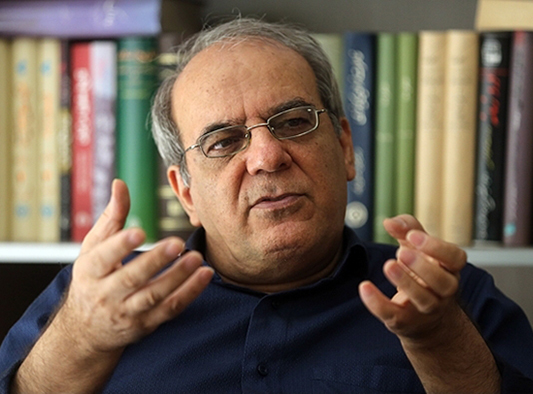 Iranian reformist analyst Abbas Abdi has, in an opinion piece entitled ‘Aggression or Reformism? / A Paradox that Needs to Be Resolved’, called on his fellow party members to adopt a more cordial approach towards the opposing party and endeavour to redefine their relationship as well as their role and position with and within the Establishment, instead of struggling with it. The sudden death of Ayatollah Akbar Hashemi Rafsanjani evoked the feeling among Iran’s reformists that the sad incident has created a huge gap in their relationship with the Establishment. Therefore, they were greatly concerned about the country’s new political condition. Reformism is based on the principle of being able to walk on two legs: One belonging to the Establishment and the other to the society. The reformists’ grave mistake was that they thought that Ayatollah Hashemi Rafsanjani played the role of the Establishment’s leg for them and, thus, in his absence, they have to overcome a serious shortcoming. Their assumption was flawed for two reasons: Firstly, Ayatollah Rafsanjani did not represent reformists in the Establishment — he had acquired his status in the Establishment due to his own position and political inertia and was never interested in being the representative of anybody else; secondly, the reformists should not have pinned all their hopes on one person, as any sad incident that happens to him/her, such as, in this case, an untimely death, can throw the entire party into a state of grief, despair and confusion and send its members into a political vacuum and relationship void. Thus, it is crystal clear that the reformists are required to redefine and rearrange their relationship and connection, respectively, with the Establishment — a move which was required to be made a long time ago. This proposal, along with its essential details, was put forward in 2011, but failed to receive due attention as it was immediately rejected being unreasonably labelled [as ineffective]. Didn’t they maintain an identity in the past when they had such a relationship with the Establishment? If yes, then, what makes them seek to keep a distance from it at present? How is it possible to be part of a structure in the 1980s and 1990s and feel proud of it, but see reincorporation into it as a threat to the identity 10 years later? More importantly, reformism is gradually being replaced by aggressiveness. An aggressive person defines his/her identity based on opposition with the other party or the Establishment: The longer a person is incarcerated, the braver he/she is and the more critically-oriented his/her essays are, the more rightful and legitimate he is. This is while, political braveness and aggressiveness are not considered as good attributes and behaviours in nature in reformism policies. Courage has another meaning in reformism. In a struggle [with the Establishment] prisoners lose their political identity, jointly take political actions and look for an opportunity to issue a statement in the name of political prisoners and forge a closed link in political relations. In the policy of struggle, anybody who opposes or fights against our enemy is a friend of ours. We would easily accept to ignore his past, the realities about him and all the differences and even fawn over him. They [those who struggle with the Establishment] write letters to anybody they can think of to lift the [opposition leaders’] house arrest, except the one they are really required to write to, and then expect that their moves should definitely lead to the lifting of the house arrest. Such a behaviour, is definitely not conducive to achieving that goal and is, in fact against it. In the most optimistic scenario, they write these letters to pretend that [or convince themselves as well as others that] they are fulfilling their responsibilities [towards those under the house arrest], failing to notice that such moves may further prolong the house arrest. However, in a pessimistic scenario, they publish the letters to extend the period of the house arrest. They seek to impose costs on the opposing side and think that pushing up the costs is the most effective method to change the policy. As long as a number of reformists continue their struggle with the Establishment, they will not require such a relationship, let alone to bother to redefine it. However, in this case, they are evidently required to realize that their reformism is an instance of walking on one leg and no matter how big their steps are, they will fail to catch up with those who are walking on two legs, become tired quickly and lose their behavioural balance easily. Prior to the demise of Ayatollah Rafsanjani, a number of reformists were under the delusion of being able to rely on a cane called ‘Ayatollah Rafsanjani’ to make up for the other leg they did not have. Nevertheless, at present, in the absence of such a delusion, they are required to make their decision. However, any decision has its own costs and benefits. As [in the past,] we recommended that the government should apply this principle in its foreign relations to achieve favourable results — a suggestion which was adopted by the government and eventually helped it sign the Joint Comprehensive Plan of Action [nuclear deal] with the world powers — currently, we offer the reformists to, in case they find it impossible to continue taking this paradoxical route, avoid being in such a paradoxical situation, even if their move is solely aimed at safeguarding the country’s interests. This is where a reformist can show his/her courage. It would be impossible to work out the details of such a route unless through intra-party talks and accepting the bases of this principle.